Most SAAS companies and other online businesses are moving towards membership model. If you are a businessman you know how much a regular income means to a company. Based on the business model, the membership functionalities varies. In this post, we are gonna help you with a small part of your membership site. 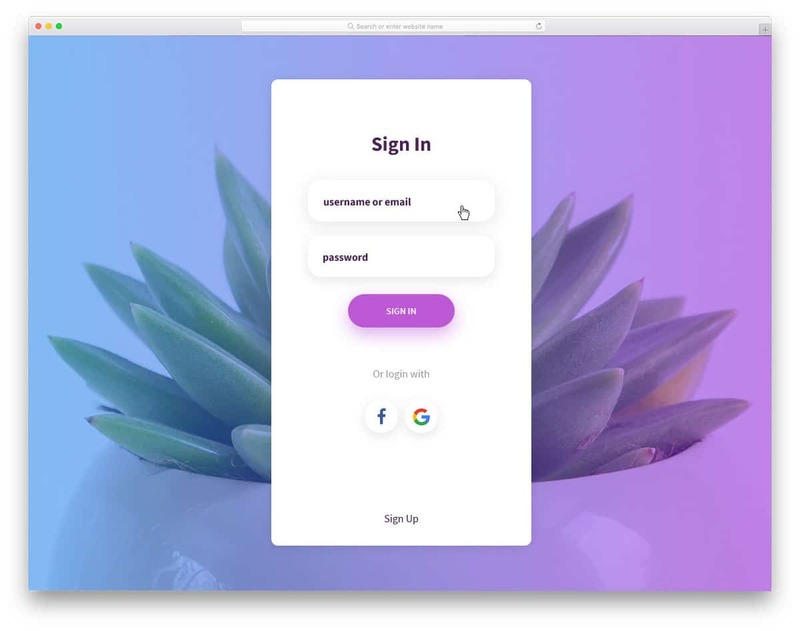 This post has some of the best free Bootstrap login forms with creative design listed just for you. Login form is one of the most used pages by your member or visitors. The form can be a simple one line element at the top of your page or you can set a whole separate page for it. 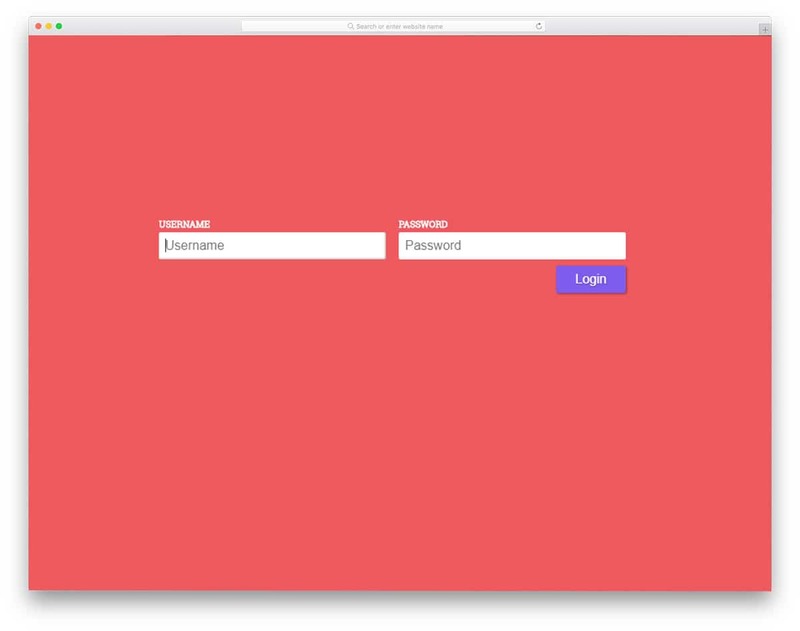 In this free bootstrap login forms, we have collected form designs for all types. When you are making a separate page for login, make sure that the login page has the same design consistency of your website and also well branded. 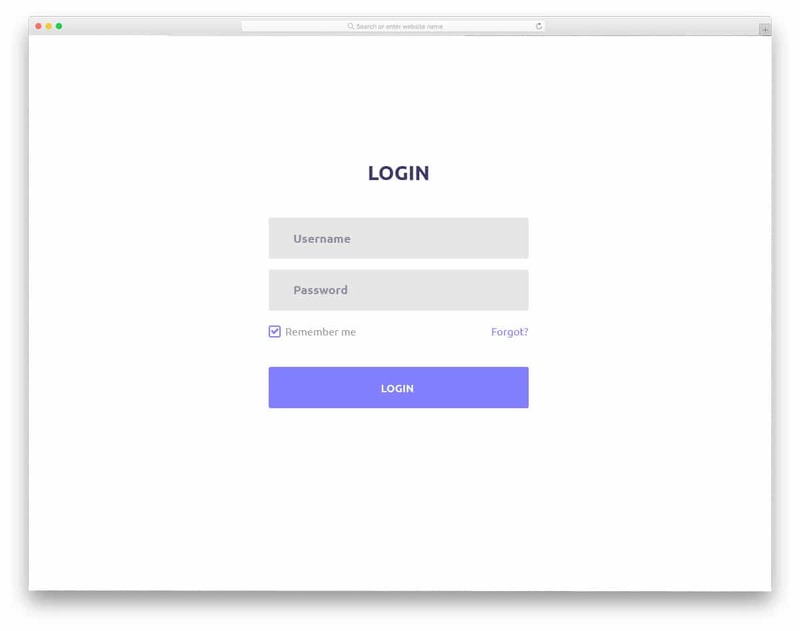 All these free Bootstrap login forms are easy to edit and can be easily added to your existing website template. Membership websites can be created and maintained easily in the WordPress platform. There are several plugins to make your job lot simpler than you imagine. The WordPress Login customizer is one such plugin to make your job easy. All you have to do is to pick the form template you like and customize it to your wish. You can add your logo, change the background and do lot more with this flexible plugin. WordPress users just install and enjoy the plugin, others who love it to create something wonderful from the ground up, keep reading to see more beautiful free Bootstrap login forms. This login form can be used in almost all type of website and mobile application. The designer of this template has used the ideal size and design so it can easily blend with any type of website. Effects used are subtle and brilliant so that it won’t take much time to load and at the same time can be felt in the small screen devices as well. Both registration forms and sign in forms are given in one layout. Without consuming much space all the space are given in one layout. If you are using a one-page template, using form layout like this will save more screen space for you. As the code used for this template is given directly, you can customize and visualize the result then and there itself. 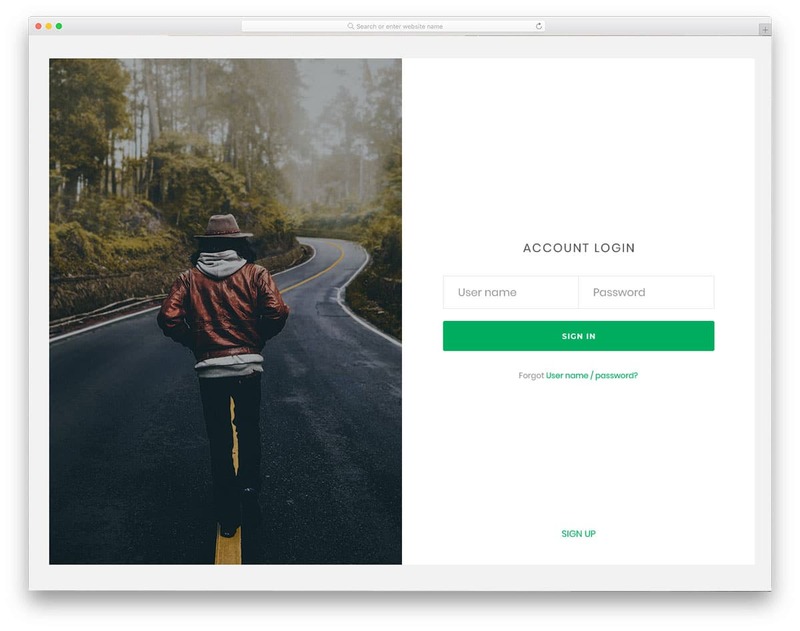 Login Form 17 is a simple form which can be used in both full-page login form design and as well as in the lightbox. The split screen design of this template gives you space to add images to the left and forms to the right. 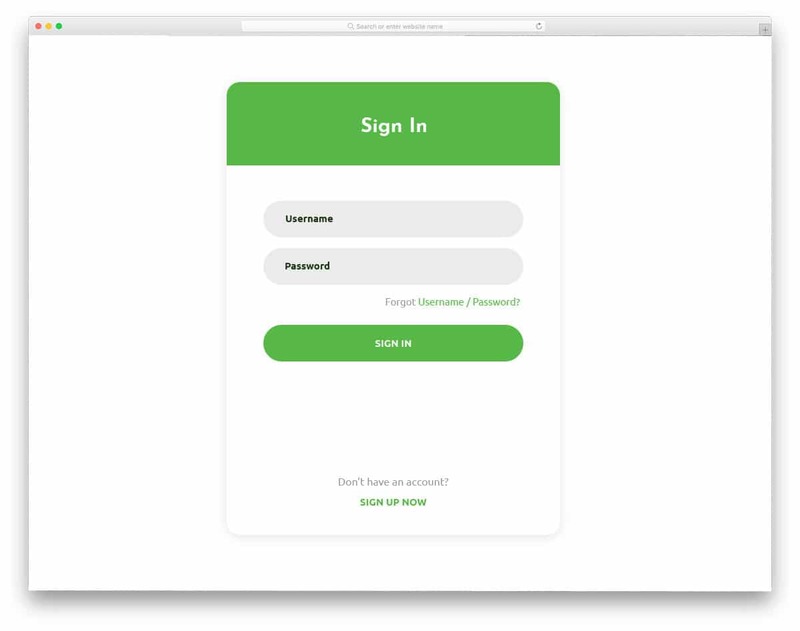 In the demo version, you can see that the login form side has plenty of space. In order to make the form look cleaner, the designer opts for the single line form design with big form fields. The call to action button below the form field is also stretched to meet the length of the overall form field length. Visual effects are used to indicate the current editing field and for the hover effects. At the footer of the form, you have the text link option to add signup form link. This template doesn’t include a signup form, but making a few changes to the form fields in this login form will make it into a signup form. 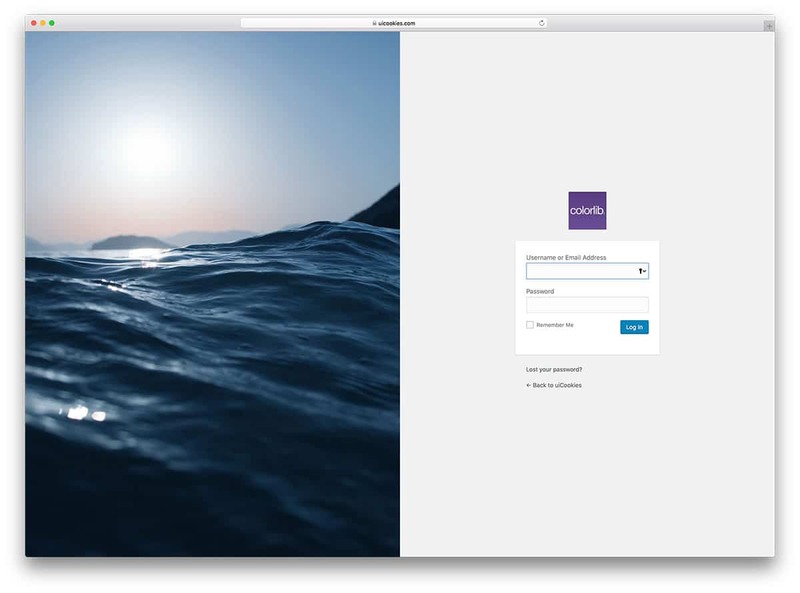 Login Form 16 is a full-page form template with an image background. Since the original form is of the regular size, you can even add the form in a part of your existing homepage. Form fields are indicated by the icons and field labels. 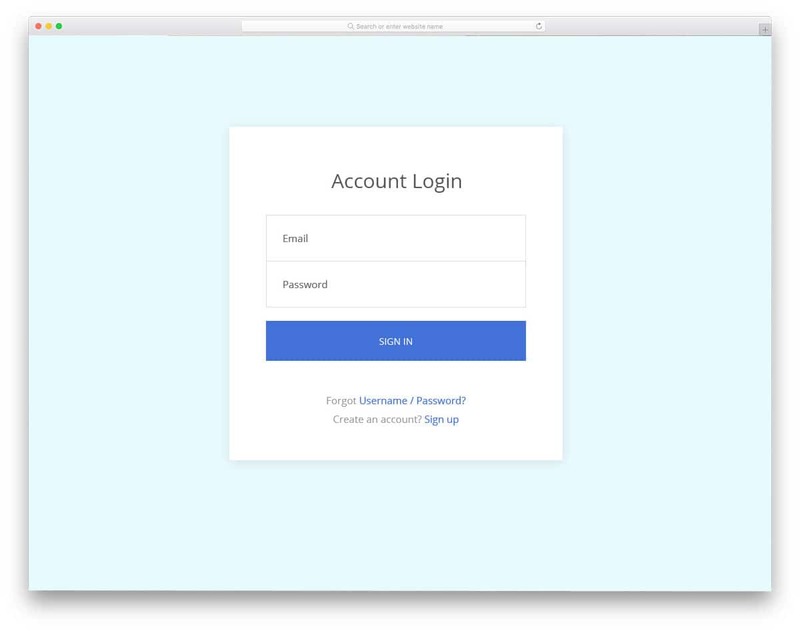 Light animation effects are also used to give life to this login form. If you are already using a creative website template or a professional website template, this form will be a valuable addition. The call to action button in the form uses gradient color scheme. If your website template also uses the gradient color scheme, you can use the same gradient here also. Adding color shifting effect to the gradient call to action button will look attractive. This template uses the CSS3 framework, so the colors and the animation effects will look more natural. 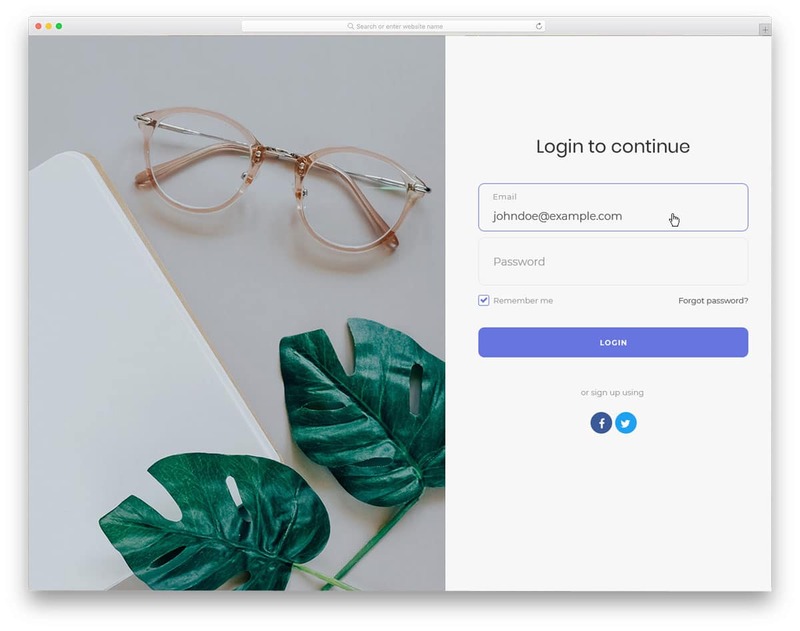 If you are looking for a clean professional login form for your business website, then the Login Form 15 is the one for you. The creator of this template gives you the front-end options that you might regularly need in a professional website. As nowadays the user has to remember many passwords, giving a forget password option is a must in the login form. In this template, the creator has given us the option to include forget password option. Another useful option in this template is the remember user option. If your members often visit your site or web application, giving the remember option will save the user time. For example; marketing tools, digital marketers are using a number of tools for their campaign, giving the forget password and keep signed in options in the tool login form will be useful for your members. 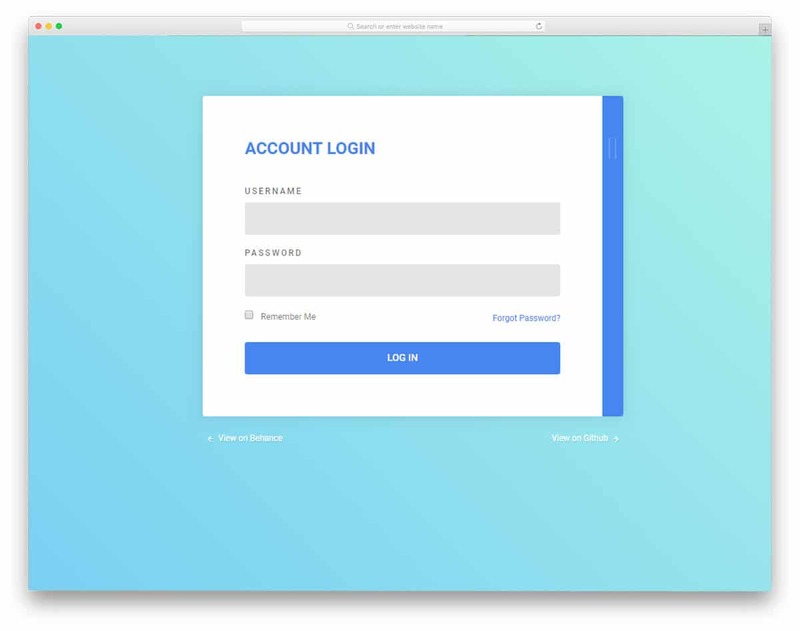 Login Form 18 also follows a split screen design just like the form 17 mentioned above. But this template use the full screen in its design and most of the space is reserved for the image. Login form 18 is the best option if you are making a login form for photography website templates. The form fields and the texts are made big so that the user can interact with the forms easily even in small screen devices. As a matter of fact, this template is mobile responsive out of the box. This form also gives you the forget password and remember user option. Just below the call to action button you have the space to add social media signup option. Providing social media signup option will save lots of your time as well as the user time. Without taking much of the user time you can get the basic profile information from the users’ social media profile. All you have to do is to integrate the form with the corresponding social media API. 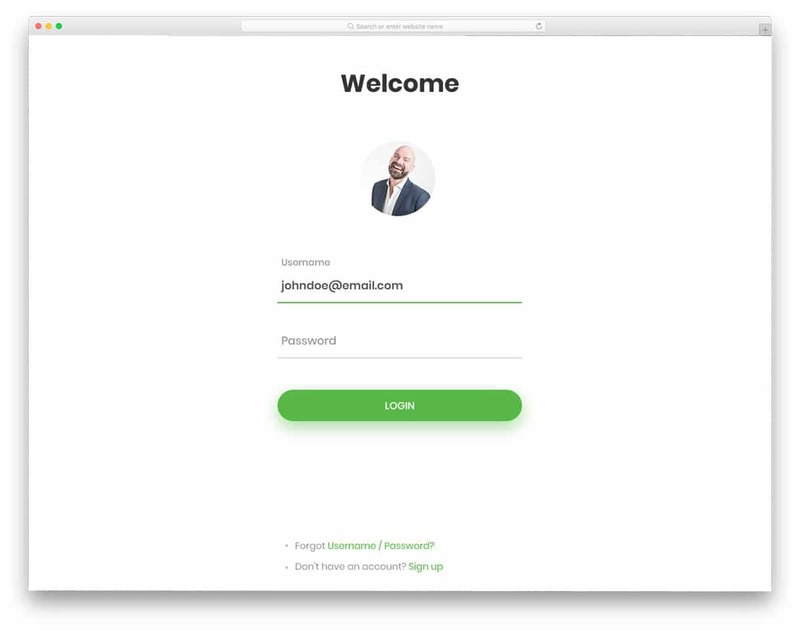 The default design of the Login Form 12, make it a perfect fit for the listing website template. To make a listing website successful you have to make a strong community with lots of contributors. Especially if you are running a listing website for places, then your members are the biggest asset of your site. 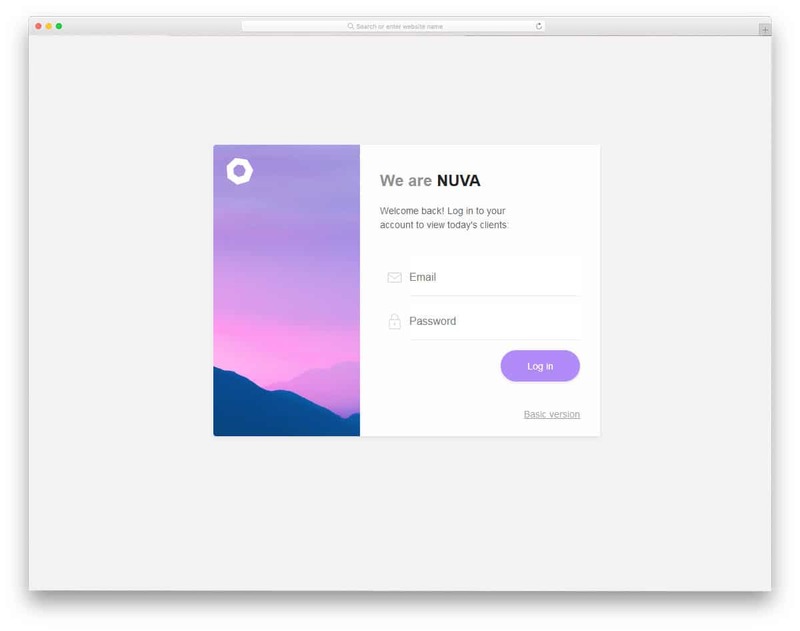 This template will help you create an elegant login form for your listing website template. At the top, you have the option to include user profile image, along with their name. In case if you are using one-click login just like in FB, this user profile image option will be of helpful to you. This modern template uses the latest HTML5, CSS3, and Bootstrap framework. So you get more modish looking web elements and natural colors. Integration part is also made easier with this template. As this template follows the code standard followed by premium templates, you can integrate it with any platform easily. Login form 9 is a versatile form which can be used for both websites and mobile application. The creator of this template has used the modern design trends effectively. Use of shadow effects feels like the web elements are popping out from the screen, especially in the hand-held devices. In the demo, the form is shown as a full-page form with an image background. Form fields support field validation and the error messages are shown as dismissable red texts. Visual effects are sleek, fast and very minimal. Just below the sign in the option, you have the social media login option for a clutter-free approach. In the footer, you have the signup option for the new user to register. 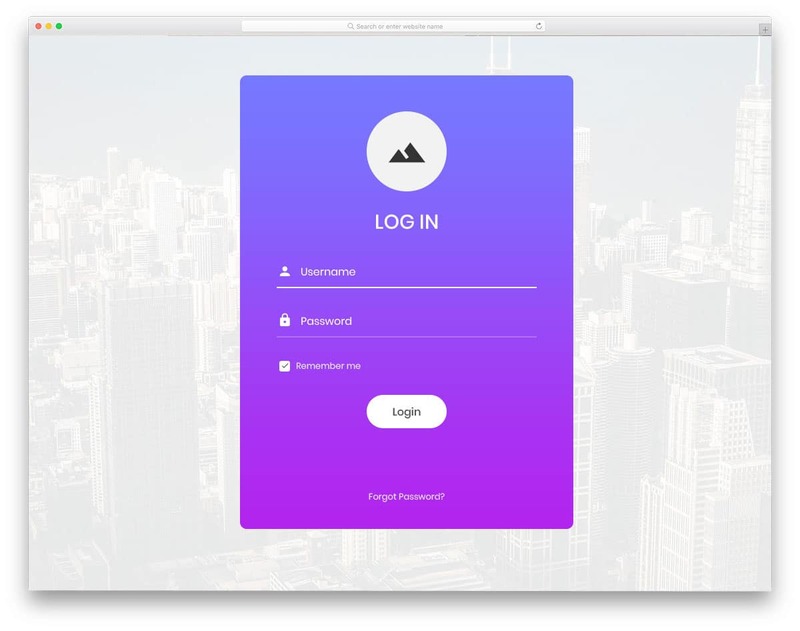 Overall the Login Form 9 is a modern creative form with a well-thought-out design. Login Form 11 is similar to the form nine mentioned above. The only difference is this template uses a different design approach. Instead of using modern rounded edge design, this template uses a boxy design. Visual effects are used to make the user interface interactive. The effects are sleek and fast, so the user no need to wait even for a second. At the top you have bold texts saying login. You can make some more space at the top to add your logo if you are giving login option in a separate page. Though the background is a gradient, the main color scheme of the form is flat pink color. All the fields and autofill options from the browser cookies are working perfectly on this template. The only thing you need to do is to take care of the backend integration. 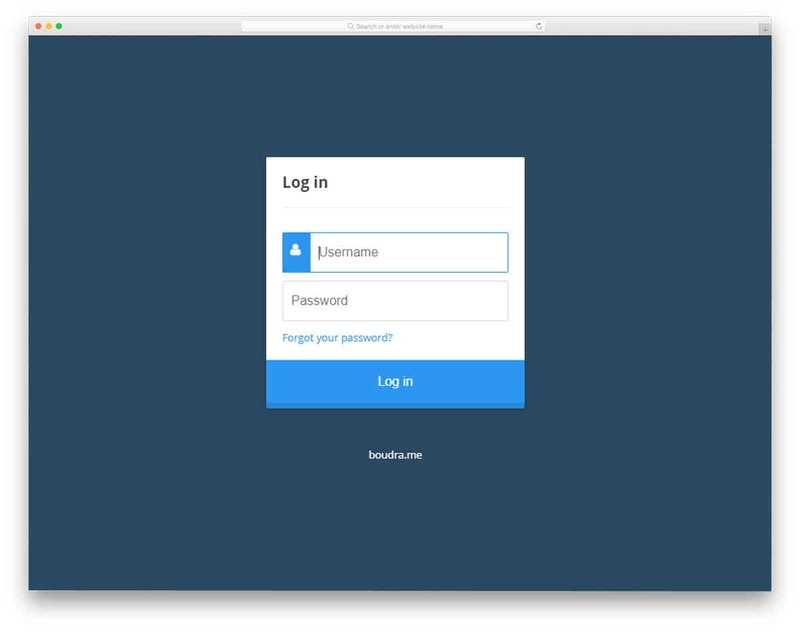 Login Form 14 is a simple form with a neat design, but the options given in this form will be very useful. With the black and white color scheme, this template embraces the minimal design. 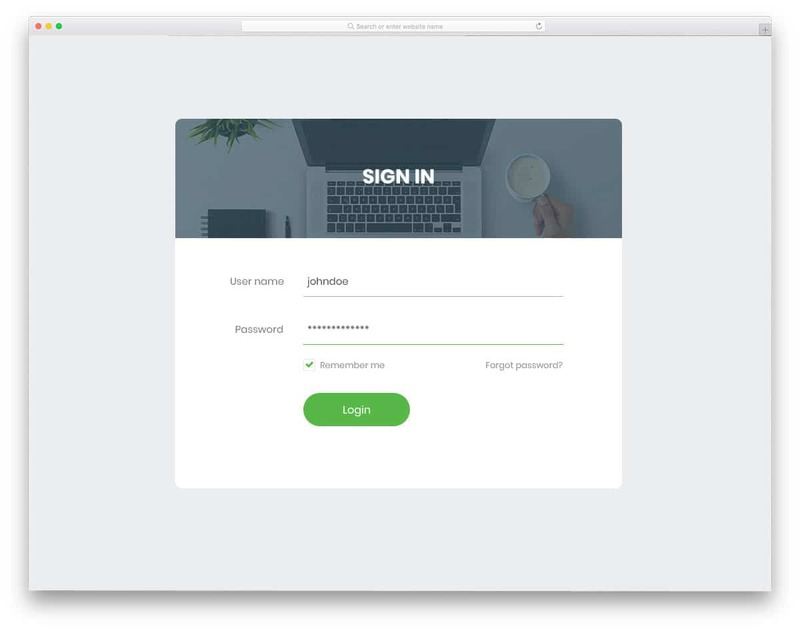 If you are looking for a login form for your minimal design template, this form will be a valuable addition. The unique feature of this form is the show password option and it is working. If you are setting certain conditions for the password characters, providing the show password option will be helpful for the user to see what they are typing. 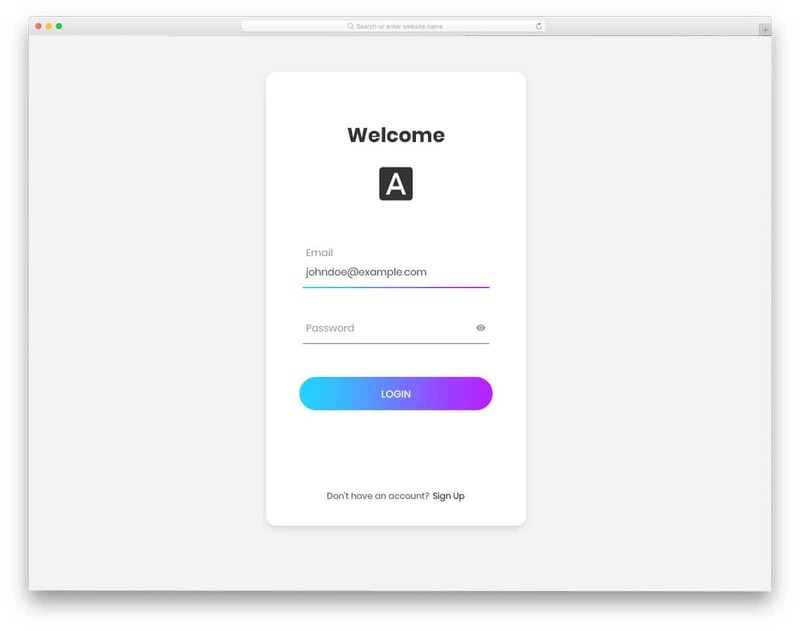 Just like few other free Bootstrap login forms mentioned above, this one also provides stay signed option and forget password option. Font selection is neat with this template, which makes readability easier in the form fields. With the help of modern web frameworks, we can create an interactive design easily. Earlier the more animation you add, the heavier the template to load. But now, the animation effects have become the core part of the HTML5 and CSS3. The Login Form v1 is one such template which uses the modern framework and its features effectively. This form template is full of interactive visual effects. On the left, you have big image section to add your logo or the user profile image. The best thing is the image part rotates as per your cursor movement. All these effects are a minor thing, but it is what makes your website complete and look unique. The form fields use icons and field labels to let the user know what they have to add in the form fields. 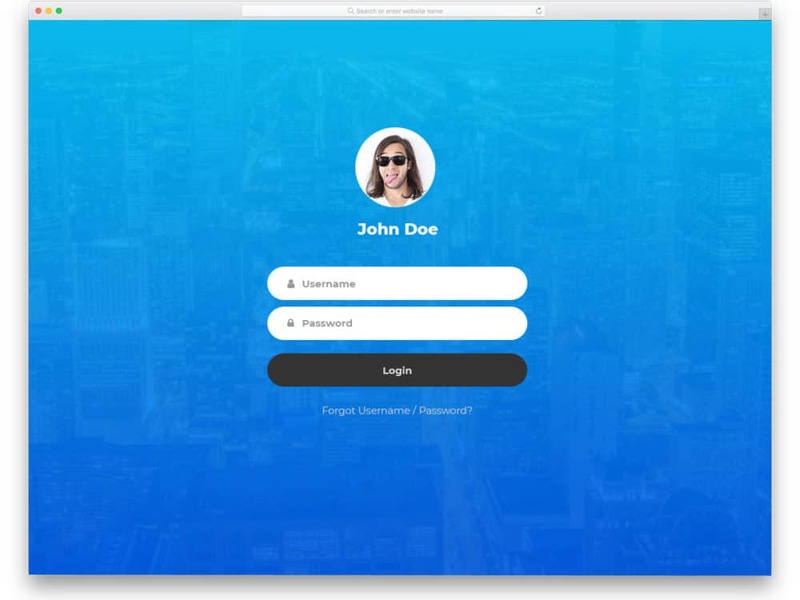 Login Form 6 uses a floating style design. The borderless design makes the responsive process easy for you and also let you have enough space. With this design, across all the device your user will be experiencing the same interface. Shadow and depth effects are used effectively to differentiate the form elements from the background. Animation effects are also kept mild and simple to match the clean design of the template. You have an option to add user profile image at the top with a welcome message. Sign up and account recovery options are given at the footer. Texts in the form fields are bold and legible to read even in small screen devices. Overall the Login Form 6 is a clean and well-executed template for all type of modern website. Login Form 7 is also similar to the form seven mentioned above. But this template uses button approach in its design. 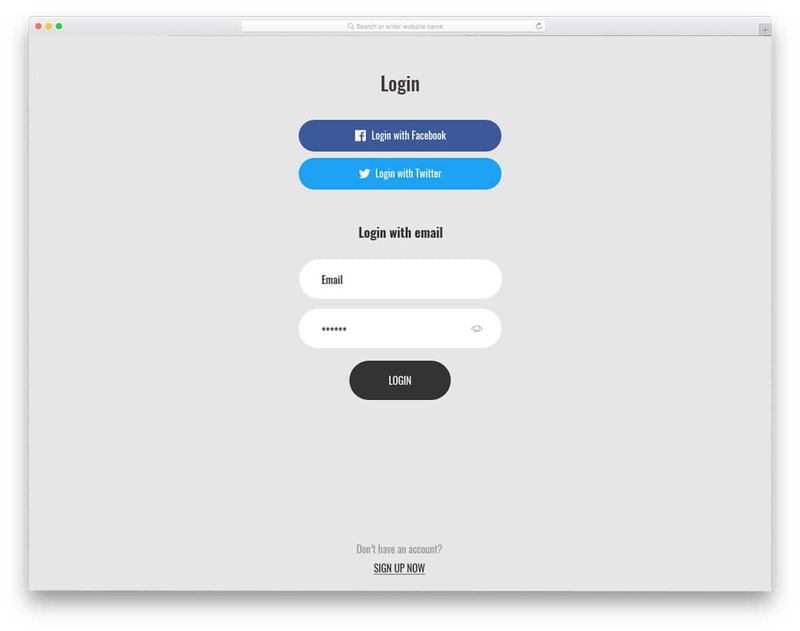 Two login options are given in this template, one is the normal email login and the other is the social media login option. In the demo version, facebook and twitter social media options are given, but still, you have to take care of the backend API integration. The bulging effects of the form field to indicate the currently editing form fields adds extra elegance to this simple form template. Another useful feature with this template is the show and hide password field. Rounded web elements and smooth animation effects indicate the use of latest HTML5, CSS3, and Bootstrap framework. Sometimes you no need a big login box or a page. In a one-page website template each and every space counts, in such design, you need to use a single line form. Login Form 20 is one such form which takes only a few pixels on the screen. 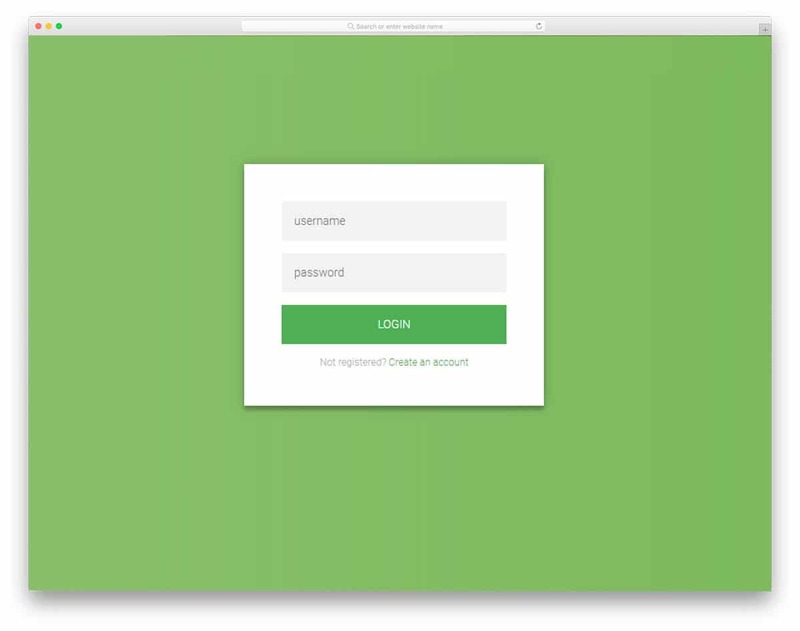 One whole rounded edge rectangle is split into three parts to make this simple login form. Visual effects are also made to stay intact with the overall design and the space given. To differentiate the form field labels from other texts, the label texts are made bolder and darker. Below the form widget, you have the option to add forgot password option. The developer of this template made it completely flexible so that you can edit this template in no time. 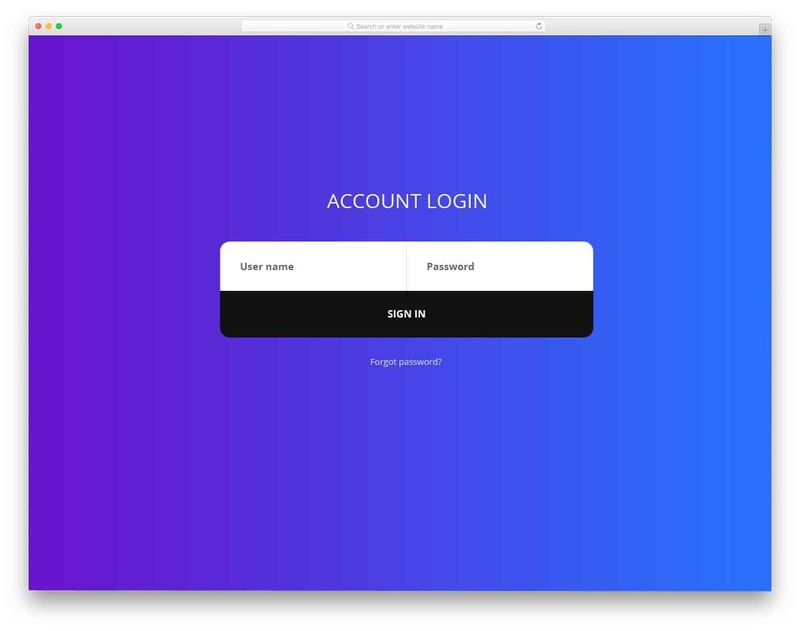 Login Form 19 is a simple and mild color scheme based login form widget design. 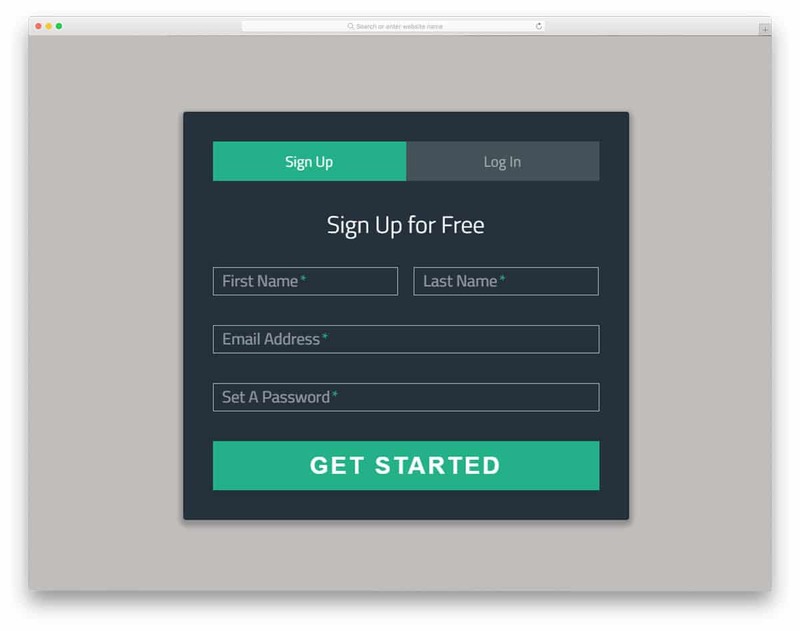 Visual effects are used smartly to make this template stand out from the rest of the free bootstrap login forms. To indicate the current editing field, blue line filling effects are used. At the bottom, you have the option to add account recovery option and user signup option. Since this template uses a simple design, it can be fit easily in any type of website template. Even if you need to edit, you can do it easily, as the template uses the industry code standards. Login Form 2 is a long form which gives you enough space to add form fields and other options. 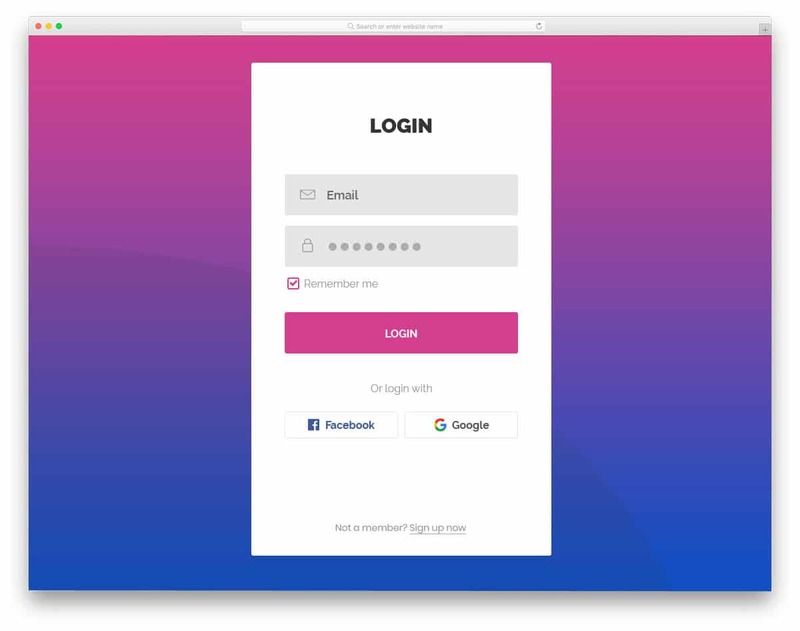 If you are searching for a colorful login form for your mobile application, then this template is the best option. As modern smartphones are adapting longer form factors, the applications also need to be designed accordingly. The vertical length has been increased a lot after the move towards the bezel-less full-screen design. If you are making an application for such device, this form will mingle well with your overall mobile app design. The texts used are stylish and at the same time keeps the readability easier. Gradient colors are used in the call to action button and the color shifting effect on hovering give a lively feel to the template. Login Form 4 is similar to the form two mentioned above. This template also follows the long form design and also gives you plenty of options. The CSS3 framework is used effectively to bring this template to life. Rounded edges and big form elements make this template to blend well along with the modern web design. Icons and form field labels are used to indicate the what detail to be given in the respective form field. This form template gives you the account recovery option and the social media login option as well. At the footer, you have the space to add signup option as a text link. For the demo purpose gradient background is used, if you want you can use it or customize it to fit the overall design. 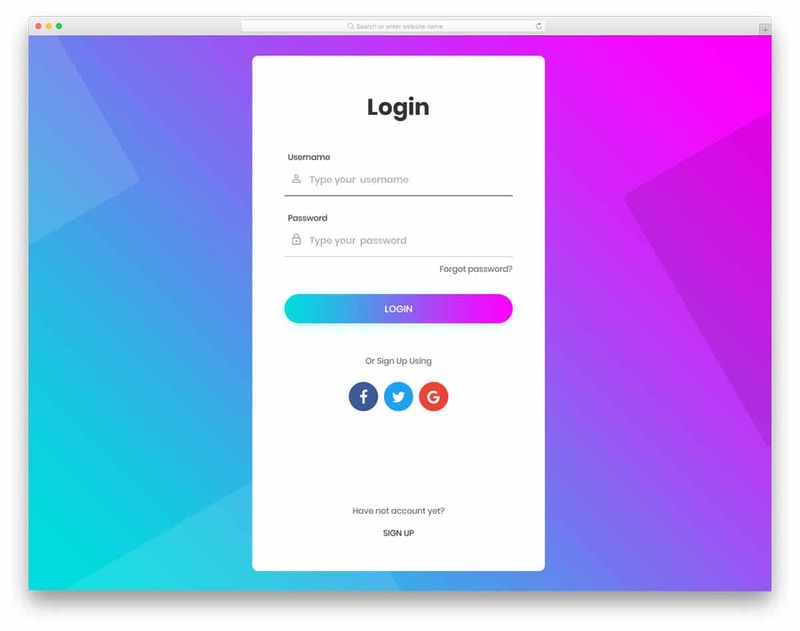 Login Form v3 is a colorful form template. At the top, you have space to add your logo, which gives a better brand visibility and brand consistency is also maintained throughout the website. Icons and form labels are used to indicate the form fields. While editing on a form field, the field label disappears and the icons are smoothly moved up. Animation effects are sleek and there is no glitch, it shows the code quality of the template. As all the free bootstrap login forms in this list, this one also uses HTML5 and CSS3 framework. Image background is used in the demo version, to highlight the form, a color overlay is used for the background image. 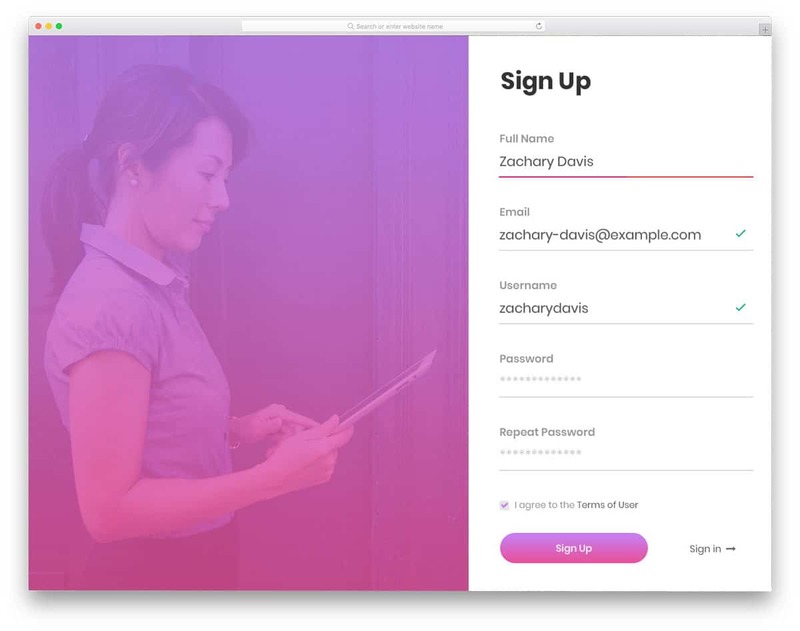 Login Form 5 is a bold form template. All the elements and the texts in this form are made bigger so that interactions will be easier. If most of the traffic for your website is from mobile devices, then designs like this will help you. Since the space is limited on mobile devices, accidental clicking is possible in the mobile devices. By making the call to action buttons and other interaction elements bigger, the user can interact with it easily. Gradient color scheme is handled will in this template and it is also used for the hover effects. Google and Facebook login options are also given in this template to make the process simpler. 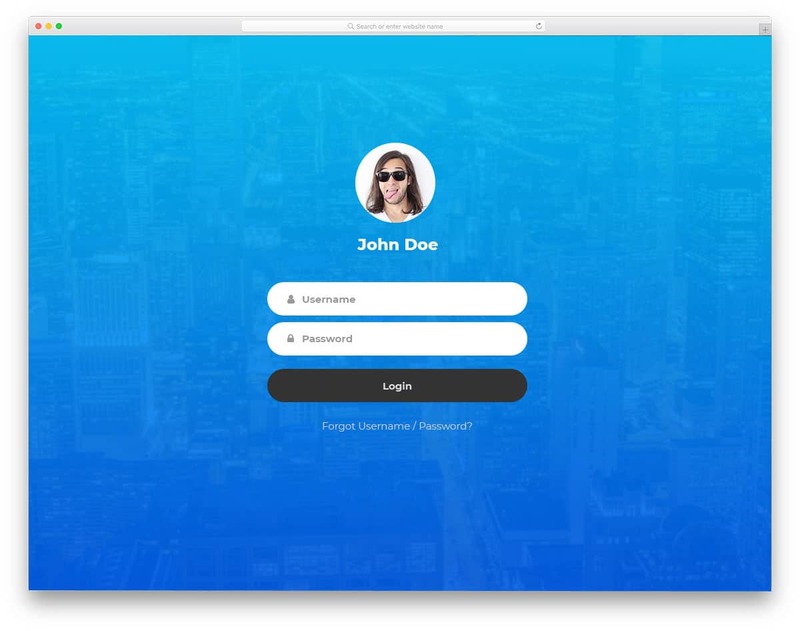 Login Form 10 is also a floating style borderless design form template. The form version six and seven mentioned above have used the shadow effects and depth effects to differentiate the web elements from the background. But in this template, the designer has made the web elements also flat. The form fields are defined by borders to let the users know where to fill in the details. Form fields color also made different from the background color to easily differentiate it from other elements. Account recovery options and keep signed options are given just above the call to action button. Within the given space and limited web elements, the creator of this template has used visual effects elegantly. The effects are clean and subtle to get user attention. Form fields bulge a little to indicate the currently editing fields. Use of latest CSS3 and HTML5 framework make visual effects smooth and clean. Enough space for texts is also given in this template to help you add innovate text lines if you want. Strategists believe that more casual and attractive words tend to hook your brand to the visitors’ memory. This clean looking form is a better option for any type of website template. In the above mentioned free bootstrap login forms you can see many templates gives you the option to add signup link at the bottom. By making few changes to the same login form design you can make a registration form. But if you need an instant solution this signup form template will be of very helpful to you. The form fields in this sign up form are in complete working conditions. Form field validations are also used in this template to reduce the faulty details. At the bottom, you have the option to switch between login form and sign up form. 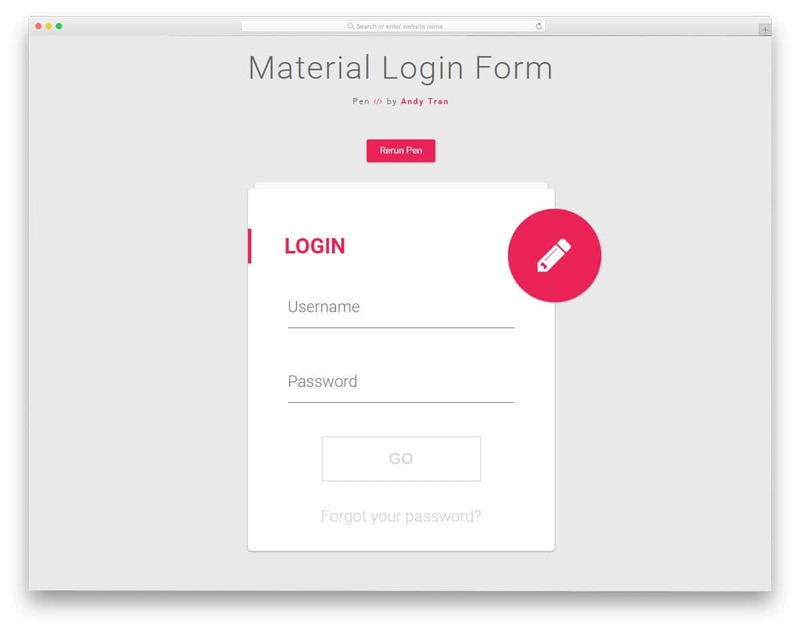 Material Login form is an apt login form for both web application and mobile application. The designer of this template has perfectly balanced the creative design with cool visual effects. If you are making a login form for a creative website membership site, this template will be the best option. This template also includes a login form and registration forms. From the name itself you can clearly infer that this template uses the material design. The biggest advantage of the material design is the fluid interface across all types of devices. Within the small space, the creator of this form has used many attractive effects. It is a worth a try and also give a nice inspiration for your creative design. This template uses that HTML5, CSS3 and a few lines of Java scripts for the fluid animations. 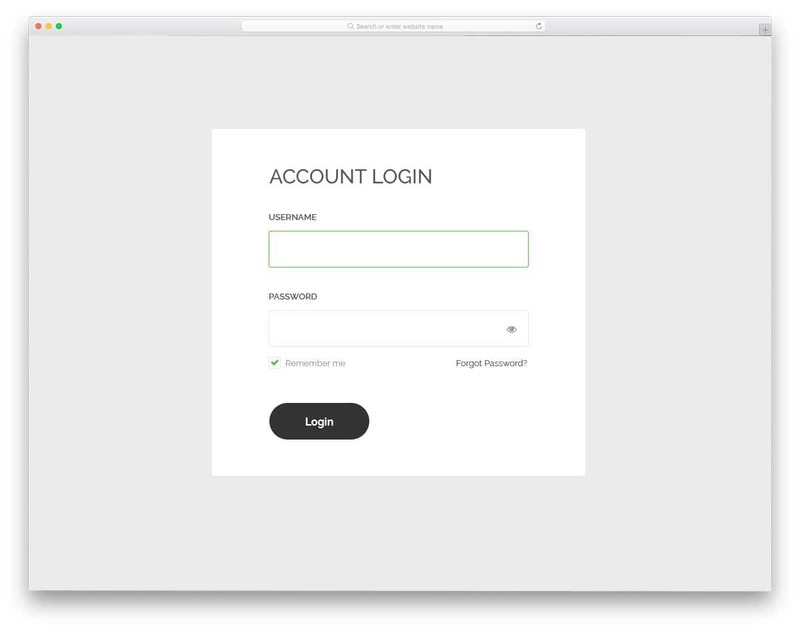 This form is a traditional looking boxy style login form. But the designer has used shadow and depth effects to make it a perfect fit for the modern websites. A straightforward tabbed interface is followed in this template. Hence the user can clearly see and switch between the forms they like. The best part about this form is it supports field validation in the registration form. If the user misses one or two fields, it will be clearly mentioned in the error message. All you have to do is to add the text fields you want and link it to your user management system. A dark blue and a mint green color scheme is followed as a default color. If you have your own brand color scheme, you can customize it easily. As the codes are shared with you directly, you can see your changes lively as you edit. 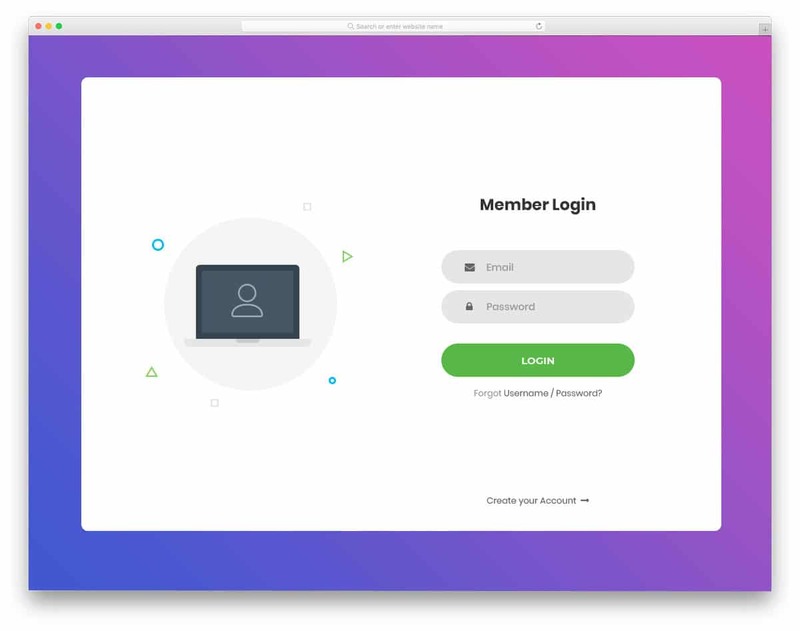 This login form is also a material design based login form with intuitive animation effects. This design is also from the creator of the Material login form mentioned above. So you can expect the same design and code quality with this form as well. 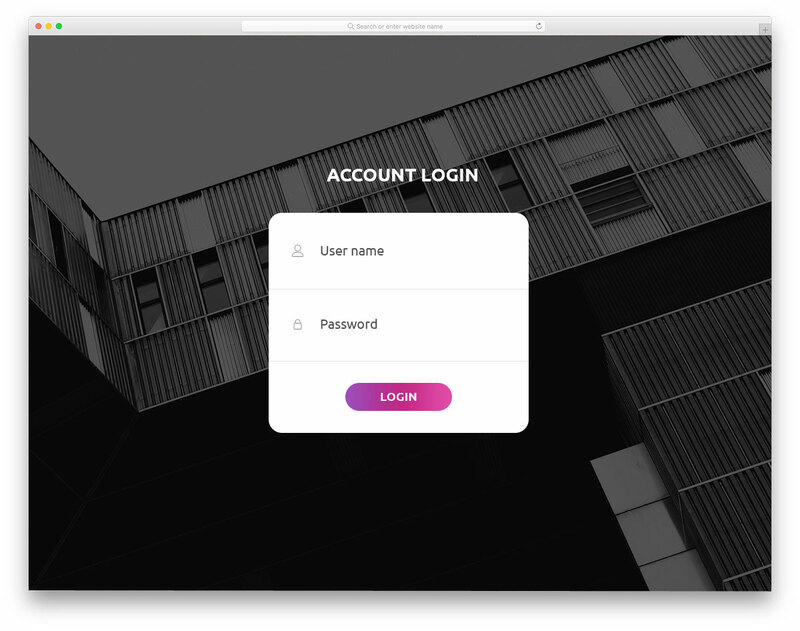 If you are making a login form for a creative website with horizontal navigation option, then this form is the best option for you. The registration form is hidden behind the blue border line. To make the signup form clearly visible to the user you can use wordings or any other type of indication. The form is perfectly working from the front-end, all you have to do is to take care of the backend integrations. Trendy material design colors are used in this form and you can pick any other color you want. 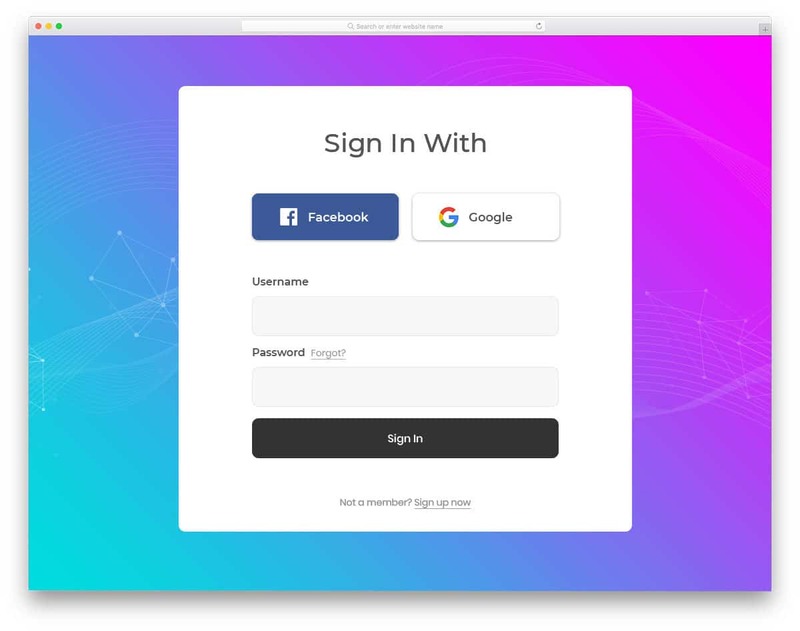 Animated Login form is full of cool effects. If you have only limited space on your website, using forms like this will be effective. Another advantage by using this type of form is you no need to leave any feature and makes user experience lot easier. One thing we have to keep in mind while making these type of animation rich element is it shouldn’t take much of the user time. In this form itself, you can see the authentication circle loading for more than two seconds, which might be a bit annoying for the users. By making a few customizations these forms can be used for all types of websites and applications. Day 1 login form is the best option for the hotel websites and travel websites. This template gives you the option to add a background image for the form. Sign in and registration forms are given in the forms like the tabs. The flipping animation is sleek and quick so the users won’t feel any lag in the process. 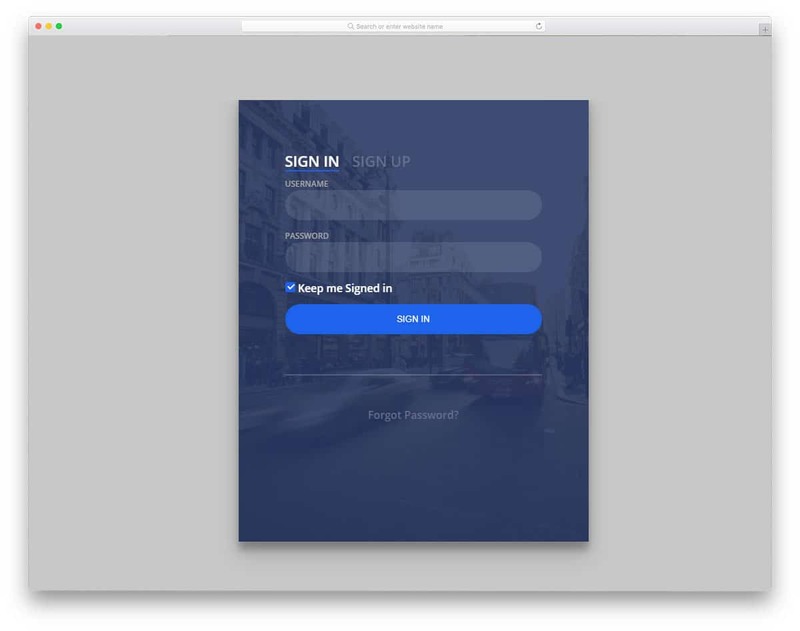 All the important options for a login form like keep signed in and forget password options are given in this template. The only thing this beautiful template misses is the field validation feature in the registration form. But, it is a small issue, you can fix it by yourself. The best thing of this template is the designer made this template purely using HTML5 and CSS3, so you won’t have trouble in editing and integrating it into your existing project. Che is another inspirational login form. Feature and concept-wise this template is a simple one. What makes this form special is the animation effect. Texts are treated as a part of the design in the modern web design. If you are making a typography rich website with creative design, this form design fill fit in correctly. In the demo, the form is presented in a full page with lots of screen space wasted. But, you can customize it to your need easily. The code for this form is shared with you directly. Make use of it in the way you want based on your project. In this design, you get a common simple login form which you can use on any type of website. 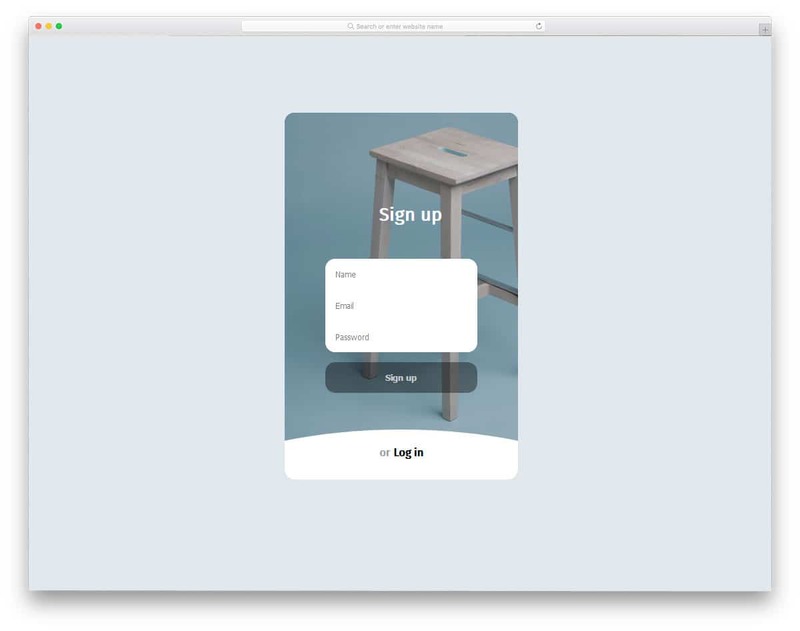 Small animation effects are used for the call to action buttons and the form fields. These animation effects give a lively feel to the template. A split screen style design is followed in this template. To the left, you have space to add related images or images of your organization. By making a few customizations, you can use this form in your mobile responsive websites as well. Since this form is designed purely using the CSS script, the developers can easily work with this form.